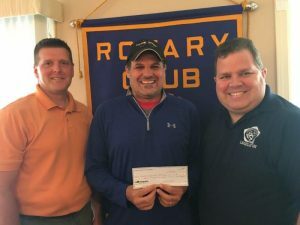 FULTON – At a recent Fulton Sunrise Rotary meeting, a donation was presented to Jeff Schremp for the Fulton Youth Hockey Club. He presented updates for the club including plans to do some upgrades. They are getting ready for the new season.